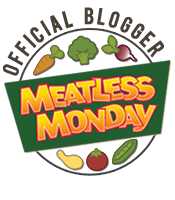 mEatless Monday (and March summary) | (m)EAT LESS, RUN MORE! Back on track day 1. It didn’t start so great since I left for work without my food. Thankfully I have stuff that I keep at my office for those “just in case” days. Breakfast was an Amy’s Organic Black Bean and Tomato Burrito, and lunch was an Amy’s Mexican Casserole, topped with guacamole. Got in a 40-minute run at lunch (3.77 miles) which burned just over 300 calories. When I got home I made my Spicy Bean Concoction (recipe below), topped with fresh salsa and guacamole, and served over 2 cups of shredded romaine. 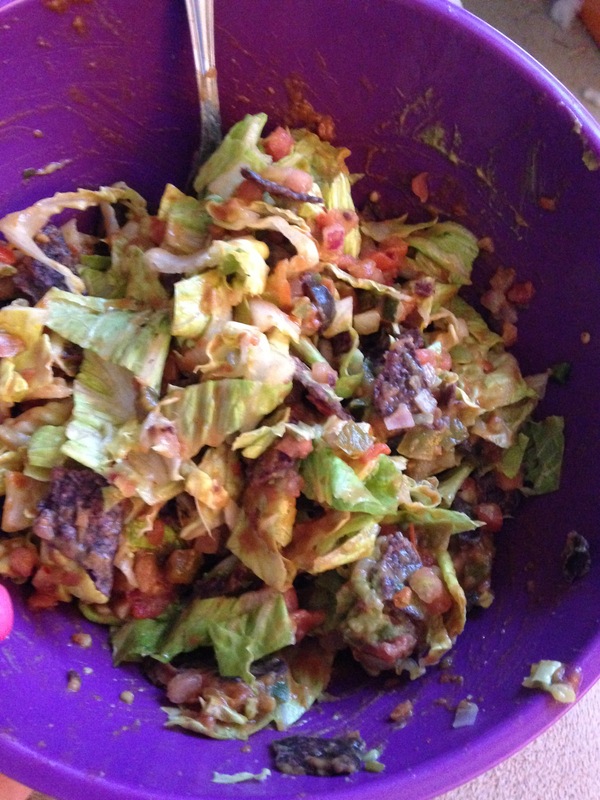 I smashed up 1 serving (11 chips) of Red Hot Blues – the BEST tortilla chips in the world, and that was dinner. I ended the day at 1495 calories, which is a little higher than I’d like, but I figure it’s going to take me a few days to plan out some 1200 calorie meals. And not forget to pack my breakfast/lunches! Combine all ingredients and portion into 3 servings. Can be served heated or at room temperature. I always top with salsa and guacamole, and usually put it over a bed of romaine. 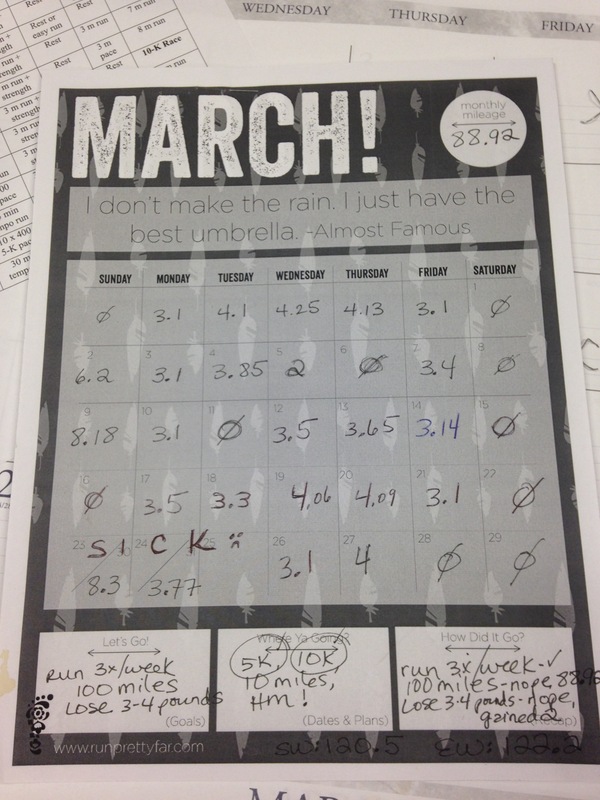 – I ran six 5k’s and one 10k, but no 10 milers or half marathons.